Setup Charge – $75.00 (Free for orders 100+). All pricing is exclusive of GST. Find transfer printing charges below. Setup Charge – See below. The 100% PET CAP. Eco-choice is all about the future. The PET/Sandwich Cap is 100% recycled PET featuring a subtle contrast in the peak. If you are looking at expanding your Eco credentials with a promotional campaign the 100% PET Cap is the perfect cap. 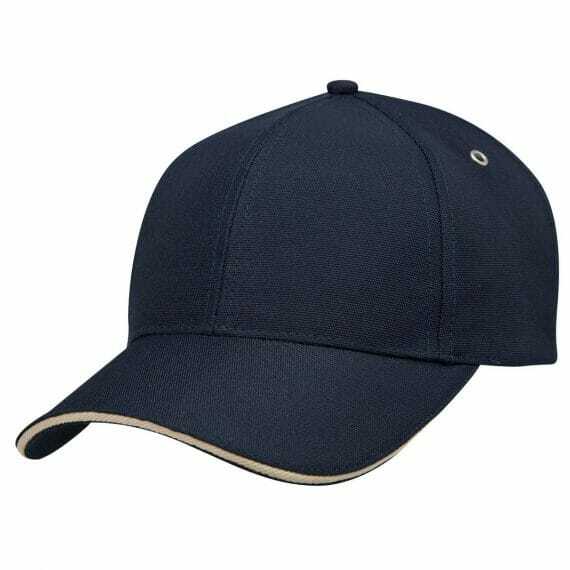 This promotional cap comes in two colour options – Navy / Sandstone and Black / Sandstone. It can be either embroidered with you logo or plastisol print. 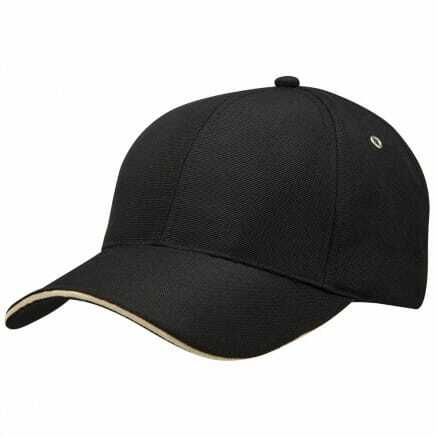 Ezy Caps is a leading supplier of custom branded caps and hats. We have a extensive range of quality baseball caps. If you have any questions about any of our caps or branding methods please contact us.